MacLeod Andrews is an accomplished stage actor as well as Audiobook Narrator, with over 35 books to his credit. 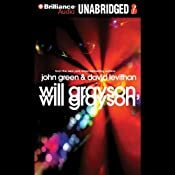 His reading of the young adult novel, Will Grayson, Will Grayson by John Green and David Levithan was nominated for a 2011 Audie Award for Best Young Adult Narration, along with co-narrator Nick Podehl. MacLeod was kind enough to take some time out of his schedule and answer some of my questions. Bob:. 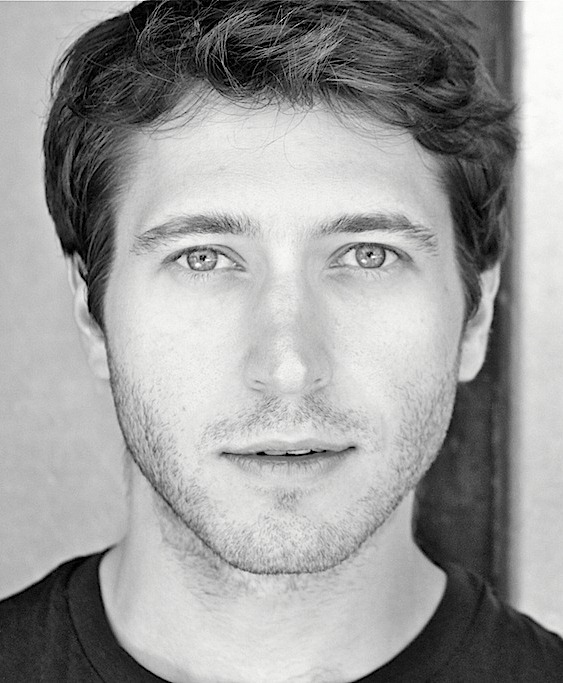 It seems more and more stage actors are finding a place as audiobook narrators. What interested you in audiobooks and how did your job as a narrator come about? MacLeod: Well, first, I think it’s fairly natural that stage actors find employ in audiobook narration. There’s a kind of physical endurance and vocal facility required of narrators to which actors trained and experienced in the theater are readily accustomed. That said, there is an intimacy that some theater artists might at first need time to familiarize themselves with. And there’s a degree of focus and patience that I think some people either have or they don’t, despite whatever training they may have. As for how I became involved, it’s that age old story: I knew a girl who knew a girl. 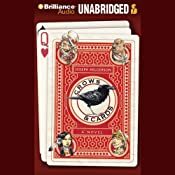 Laura Grafton was kind enough to give me an audition for a children’s/YA title called Crows & Cards by Joseph Helgerson. After auditioning twice for Brilliance Audio, I booked the job and flew from NYC out to Michigan. I was terrified in the booth! I thought, "God, I keep messing up. I’m going too slowly." It turned out pretty well though and I’ve been recording ever since. 2. Tell me a little bit about the process you go through after being cast to record a specific audiobook. How much preparation do you do? MacLeod: You know, it really varies with the project. Every title requires a slightly different kind of attention. But, the common denominator: I read the book, and along the way I annotate the dialogue. I’m fairly visual so I allocate different symbols to each character and jot them in the margin. It allows me a little bit of extra creativity on the side. Although, every now and then I’ve caught myself getting a little too creative: "no, no, this guy wouldn’t have a flourish at the end of his symbol! "…10 minutes later… Before the advent of the iPad I would make a spreadsheet detailing whatever pertinent information I could find on each character and where they first appear. Now I’ve started using an application called iAnnotate on my iPad that allows me to carry out basically the same process digitally. So far, using the iPad has been a great success. Cuts the paper. Sorry W.B. Mason. I set the screen to "negative image" so the print shows white on black background. Easier on the eyes. As far as the voices, sometimes the characters are readily accessible to me and I can more or less keep in my head where I’m going to "place" each of them. I’ve become fairly well acquainted with the elasticity and limitations of my voice. I’ve pushed those boundaries here and there, to mixed results. Usually positive I think. 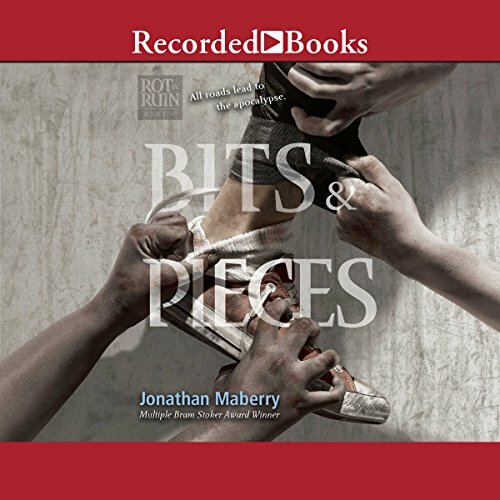 Sometimes I’ll search through audiobook samples to find narrators who have recorded similar genres, and I’ll try on a different rhythm or cadence for narration. Sometimes I’ll ask the authors if they heard a particular person’s voice while writing a certain character. Then I’ll youtube that person. Often times accents must be dusted off and I’ll use IDEA (International Dialects of English Archives) which is a fantastic internet resource. I tried on the whole Jim Dale/ Dan John Miller little MP3 voice recorder thing, and it wasn’t really for me. Especially because most companies these days can mark certain characters for playback and reference while you’re recording. I still whip out the old Sony MP3 recorder now and again for extra security. One title, Will Grayson/Will Grayson, required the arrangement of original songs. I sat in my hotel room hunched over my computer at midnight softly recording original show-tune compositions on garageband at 11 at night. Sometimes I’ll just figure out certain characters in the booth, with the director. Bob: I know a lot of stage actors feed off their audiences during their performances. How do you maintain a similar level of performance when reading in Studio? MacLeod: 5hr energy. Coffee. Coke (The fizzy kind). Tea. Sugar. At least, sometimes that has been necessary. I find the healthiest way is to eat well and to establish a fun rapport with your director and/or engineer. Humor really helps. Gallows Humor. You’re in it together and you’re not going anywhere until the job is done. A big difference between performing for a microphone and performing for an audience is that in the booth, every performance is novel. Not novel like a book but novel like "new". The incredible challenge of performing for an audience in theater is trying to maintain a sense that everything is happening to you for the first time. In the booth you are essentially recording your rehearsal. That initial interpretation is exciting. If you don’t like it, you can do it again but you have to move on, there isn’t time to obsess. There’s just too much material. I also challenge myself to experiment with different rhythms or pitches or characterizations. That helps maintain the focus. And if all else fails sometimes you resort to very technical challenges like avoiding mouth noises or going on as long of a "run" as possible. Over the course of a session you’ll go through just about every manifestation of a day’s energy cycle. From literally falling asleep between sentences, to an intensely motivated focus, to giddy hilarity. Sometimes you can use those different energy states to your advantage, but for the most part, vocal awareness is key. Just having an ear for how you sound so that no matter how you’re feeling you can maintain a consistent soundscape. Having a good director with a keen ear is a godsend. You’re juggling a lot in that hot little booth and it helps to have an objective ear to keep you moving forward in a way that does justice to the book. And then of course, it helps to have a great book. Or at least one with a lot of character or attitude. 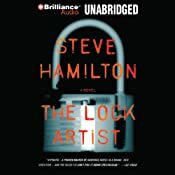 Bob: One of my favorite characters you performed is Michael for Steve Hamilton’s The Lock Artist, which just won an Edgar award. I think Steve Hamilton created a character there with quite a distinctive voice and you did a great job capturing it. What sort of thing do you look for when deciding on how to voice a character? MacLeod: Thank you Bob. The Lock Artist was one of my favorite stories to record. In general I really enjoy first person narratives. I’m an actor first and foremost and this format allows me to totally inhabit a character. It’s a type of performance I’m more familiar with. It’s like a huge monologue that you don’t have to memorize. With first person narratives I look for an attitude, a broader perspective. A big part of this is finding the humor of the character. How do they use humor. Is it Ironic? Wry? Clever? Lame? Dismissive? Sarcastic? Overt? How often do they resort to humor? Often I will see/hear a character fairly instinctually. But there are times when a character is more illusive. Michael is a character who I feel came to me fairly clearly. From the beginning I knew there were only two possible voices. The character is mute, so I could either have given him a withdrawn attitude, as someone who is uncomfortable speaking and relating, or I could have given him the voice he so longed to have, expressive, direct and full. Audiobooks being an aural medium, the director (Jim Bond) and I decided to go for the latter. There was also a duality to the narrative that really evolved as we recorded. There was the Michael of the present, who spoke to us from a place of experience and reflection. You may have noticed that the closer the narrative took us to L.A. the deeper and more assertive his tone became. His humor also crept in – a very cynical, world-weary quality. With character’s like Michael who have experienced so much pain and trauma, the humor is critical. Humor is a ubiquitous coping device and how a character finds it in relation to suffering is quite telling. Then, when Michael was younger and in Michigan, I tried to lighten his tone, allow him to be a bit more naive and earnest. Michael didn’t have the perspective to understand what was happening to him or to assign value, so he was very much an innocent in the earlier timeline. But never passive, and never ruled by self-pity. Aside from first person narrative and regarding character voices more generally, I listen to the author. I take into account descriptions, age, attitudes, and that voice in relation to the other characters. Sometimes what motivates my choices is as simple as trying to differentiate the dialogue. 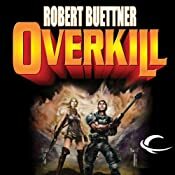 Bob: In Robert Buettner’s science fiction novel Overkill you gave voice to Jazen Parker, a complex character who hadn’t had the easiest life. Yet, some of the more memorable moments in that novel involved you voicing a decidedly not human character. Are you a science fiction fan, and is there anything specific you use for inspiration when attempting to voice non-human characters? MacLeod: I am a Sci-Fi fan. Not a connoisseur by any stretch, but I am frequently moved by how the genre can lay bare the human condition. By taking us so far away from ourselves and the world we know, the impact is that much more powerful when we suddenly recognize the emotional and political dynamics at play in a universe that we thought was utterly alien. I find Sci-Fi to be quite an amenable format to large, existential quandaries. Yukikaze is one such book that I really enjoyed and was going to record until the audio rights were retracted at the last minute. When I have to voice something inhuman I first look to the author. How have they described the being? The Grezzen from Mr. Buettner’s book, Overkill, is a behemoth of fairly evolved intellect. I went sort of in the direction of James Earl Jones. As he communicated telepathically, I tried to oscillate quickly between being on mic and off mic. Just to give it a less directional ambiance. One of my vices is that I "go for it". I enjoy the challenge. I’d be all for it if publishers allowed voice effects to be tossed on those characters (I like that level of immersion) but most companies are still purists and won’t touch it with post effects. So I do my best to create effects organically in the booth. Sometimes it works better than others. Sometimes people love those bigger choices, and sometimes people can’t stand them. In a Sci-Fi I recorded called Footfall by Larry Niven and Jerry Pournelle, the aliens were described as appearing similar to baby elephants and sounding like leaking balloons when they spoke. So I went for it. I tucked my lower lip up over my bottom teeth and did my best. Some people dug it, and a LOT of listeners reamed me for it. I’ve taken that into consideration in projects since, but that fuller commitment is kind of my style, I enjoy the challenge. Bob: It seems that YA novels are really becoming the “it” thing in publishing. I noticed you have narrated quite a few Young Adult titles. 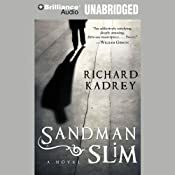 Do you take a different approach to reading a novel you know will be listened to by teenagers as opposed to a novel like Sandman Slim, which is decidedly not for the young ones? On a related note, what was it like voicing Lucifer? MacLeod: No, I don’t really approach them differently. The books usually guide you in the direction they want to be taken. And man, some of these YA books are far more risqué than any of the adult stuff. But surprisingly that challenging material tends to be less gratuitous in YA, unless it’s for the sake of humor. I’m surprised by the maturity with which that uncomfortable content is handled, often leading to some emotionally relevant and well observed moments. YA titles tend to lead me in subtler directions. They are decidedly humanistic and almost always incredibly well humored. As they are aimed at a demographic generally more concerned with identity, ethics and morality, YA titles tend to approach character and behavior with a bit more nuance, which can require very delicate and specific handling on the part of the narrator. The Spectacular Now, Flash Burnout, Will Grayson, Will Grayson– though at times a little fluffy (except The Spectacular Now) really land upon some poignant observations that even as an adult cause me to reflect introspectively. Most of the adult and genre lit I’ve read tends to veer closer to archetypes. As for Lucifer, he ended up being an unexpectedly difficult character. In Sandman Slim he appeared briefly toward the end and I envisioned him as a cool-cat, kind of a Jeffrey Wright. In Kill the Dead he featured much more prominently. The director here urged me more toward erudition and a posh disillusionment. Effete and eternally unimpressed. I was hesitant because I was concerned about consistency, but upon examining the language with the director I came to completely agree with his impression. Unfortunately it took me half the book to fully shake my previous conception of Lucifer and fully commit to this more refined characterization. Bob: If someone wrote a book about your life, who would you want to narrate it? MacLeod: Interesting question, one I doubt I’ll ever have to worry about. I think I’d want it to be some talented young actor being given a chance to make some much needed dough, who had a great appreciation for storytelling and a heretofore unrealized ability for narration, who wanted to cut his teeth in the voice over world. That or Leonard Nimoy. Bob: Finally, do you have any upcoming projects, audiobooks or otherwise, that you are particularly excited about? MacLeod: Yes. There’s a YA/children’s title called Charlie Joe Jackson’s Guide to NOT Reading. It’s quite clever and fun. I’m excited for the sequel to Overkill called Undercurrents. There’s a really off-beat sci-fi title called Grey by Jon Armstrong that’s a bizarre satire of today’s flash-pop-reality media culture and the fashion industry. I thought it would be out by now…hopefully someone wasn’t dissatisfied with my read and pulled the plug. Reflex, the sequel to Jumper (yes, the one the bad Hayden Christensen movie was based on) by Stephen Gould is one of the more tightly crafted thrillers I’ve gotten to read. And with that teleportation-sci-fi twist. By the way, the book Jumper is far, FAR better than the flick. Then I’m looking forward as always to the next Sandman Slim Novel, Aloha from Hell. Sandman Slim series…gotta love it. I loved the narration in Will Grayson Will Grayson. That is one of the audiobooks I recommend most often. It’s nice to get the behind the scenes info from the actual narrator. I didn’t realize he has narrated so many titles. I will have to try out some of these other books. Thanks for the informative interview!